31 x 36 cm; 1 photograph; black and white. This is a photograph from the 2nd anniversary of the Cumberland Nationalist League, March 28, 1920. 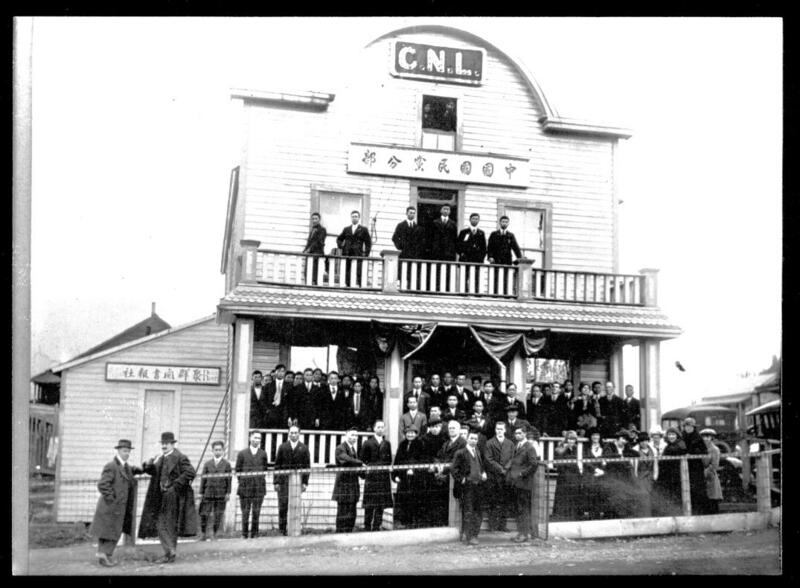 There are around 60 people in the photo, standing in front of, and on the porch of, the C.N.L. building, including Wing Ming Chu, 3rd from left on balcony; Chin Shea Yun, in front of left pillar by fence; Foon Sien Wong, right of front gate, and Mah Wai Shu, front of right pillar.